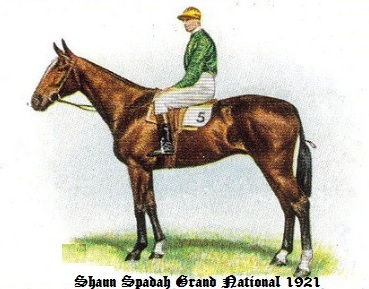 This was run on the 18th March 1921 with the going heavy and weather clear.The winner carried 11-7; was owned by T.M.McAlpine, and won in 10 minutes 26 secs. The British Pathe website and bank of film clips provide excellent coverage of the Grand National. The link below is a 2 minute 8 seconds clip of the Grand National.